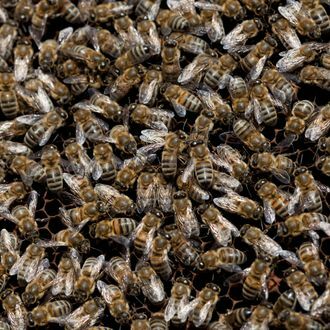 Officer Planakis said the bees he had collected were wild, but some beekeepers believe they were fleeing the poorly managed hives that have proliferated on rooftops, in backyards and on balconies since the city lifted a decade-long ban on raising Apis mellifera — the common, nonaggressive honeybee — in March 2010. Since then, 114 people have registered 182 hives with the city’s Department of Health and Mental Hygiene. Many others say they are reluctant to divulge the location of their hives for fear of retribution from landlords, neighbors and the city. Some estimate the actual number of hives may be as high as 400. And while the bee swarms haven’t seriously injured anyone yet, trend-followers, take note: Your back-to-the-earth-iness sometimes comes with serious consequences!